Car warnings lights and symbols are nothing new, in fact the first company to use warning lights was the Hudson company in the mid 1930’s for the voltmeter and oil pressure. 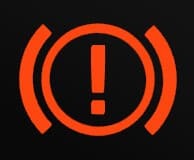 We have compiled a list of warning lights and symbols with explanations of what they mean, knowing what a symbol or light means can help you prevent further vehicle costs down the line, especially if it’s a serious underlying issue. On the other hand, a warning light may be a minor problem or just an indicator that you have turned a light on, it really does vary from symbol to symbol. 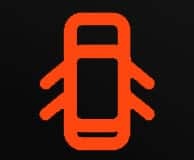 If this symbol is lit up, then it can sometimes be followed by strange or unusual activity from your vehicle. One of the more common side effects is your vehicle loses power. This can happen as a precautionary measure on the vehicles part to make sure the vehicle still runs smoothly instead of intermittently. There are several reasons why the ECU / Engine light can light up. For example, smaller issues include a faulty sensor or bigger issues can be actual engine faults. It’s worth noting that if the engine management / ECU light shows up on your dashboard then you need to take your vehicle to a professional to get it checked as soon as possible. Ignoring this light isn’t an option you should take. Whichever one it turns out to be oil is an important part in any vehicle and is used to make things run smoothly (as a lubricant). So, dismissing this light shouldn’t be an option. The first thing you should probably consider doing is not running the vehicle again, get the oil level checked, if you don’t know how to check the oil level take the vehicle to a professional who does. If the oil level is fine, then it’s worth getting the vehicle checked over sooner rather than later as oil problems can cause serious engine damage if not dealt with. All vehicles need working brakes, so if there’s a fault with your brakes it’s not worth driving the vehicle until you get it fixed. Some vehicles have this light solid lit when they have the handbrake on, but if this light is flashing it’s probably a sign that you have a brake fault, or the vehicle is low on the brake fluid level. Which you should get checked immediately. Luckily enough a fault with the brake system isn’t usually too costly in comparison with other warning symbols that can appear. 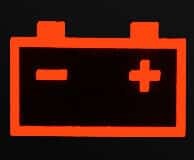 This light will generally appear when you first start up your vehicle, but it should go off again (usually within 5 seconds of the engine being started). If this light remains lit, then it could be an electrical fault with the vehicle. Either way it’s worth getting it checked out! Having working airbags in your vehicle is important, if you see the airbag warning light on your dashboard you should take it to a professional to investigate it further. Also, a vehicle with the airbag light on may mean your airbags won’t go off in the event of a collision or equally as bad, your airbags could possibly malfunction and go off without notice, which could cause an accident if you’re driving. So, remember prevention is cheaper than the cure. 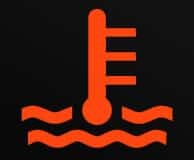 If this light appears and your engine is running, then it means the temperature of the vehicle is too high and your engine is running too hot. There are several problems linked to this light coming on, so get the vehicle checked by a professional. 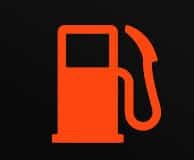 This light is usually quite straight forward in comparison to the others, if this light appears it means you’re running low on fuel. If you see this light you need to go and get some fuel. Usually when the low fuel light appears it gives you enough notice to get to a fuel station before running out, that is unless there’s a fault with the sensor. If you notice anything unusual like you think the vehicle is using more fuel than usual, then it may be down to a fuel leak or it could be an ECU problem where the ECU tells the engine to use more fuel than it needs. Ever way get it checked if you suspect either of these problems. 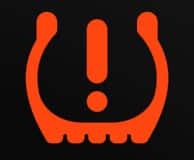 A lot of modern vehicles have this warning light fitted, it simply means the vehicle has detected low tyre pressure on one or more of the vehicles tyres. It could mean one or more of your tyres has a puncture, so it’s worth getting the cars tyres checked as soon as possible if it’s a recurring problem. 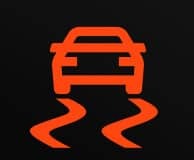 The traction control light can sometimes flash or appear if your tyres loose grip in cold, icy or wet weather. 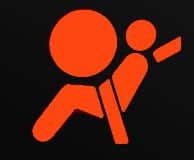 When this light appears and goes off again, it means your close to reaching the grip limit of the vehicle. If this light is always on it usually means, there’s a fault or traction control is turned off. If there is an option to switch it back on, do it. If there isn’t, then it’s probably a fault and you should get it checked right away. 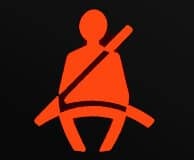 This light has become a feature in many newer vehicles, it generally means someone in the vehicle doesn’t have their seatbelt on / attached. Some vehicles use pressure sensors under the seat, so the vehicle knows if someone is sat on the seat and whether their seatbelt is clicked in. If your seatbelt light/sound is triggering when you have your seatbelt attached, then it could be down to a faulty sensor. 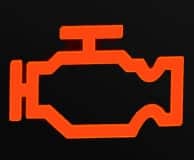 This light doesn’t usually mean there’s any problems other than one of the car doors, bonnet or boot hatch has been left open or it isn’t closed properly. A simple check around the doors, bonnet and boot hatch to make sure there all closed properly can usually solve this problem, if not it could be a faulty sensor which needs fixing. Engine coolant is a requirement for engines to run cooler (and helps prevent overheating). 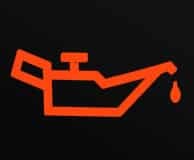 If this light appears on your dashboard then the chances are you need more engine coolant adding to the coolant tank under the vehicles bonnet. If your engines temperature gauge is in the red area then it could mean there’s further mechanical problems as well, so it’s worth getting it look at. Not having enough or having no engine coolant can cause serious engine problems. Just because your warning light isn’t display here, doesn’t mean it’s not a problem you should investigate further. Please take your time to find which vehicle warning light you have seen so you can be sure to take the appropriate action to take care of the problem properly. If you think the vehicle isn’t safe to drive then don’t drive it, and if in doubt you should seek assistance from a professional mechanic or breakdown cover if it’s a problem where you can’t start the vehicle. Find out if a vehicle is Stolen, Written off, Free of finance and more with our deluxe check!